Northdale, Florida is an unincorporated community of 22,000 people in Hillsborough County located about 8 miles due north of Tampa International Airport along North Dale Mabry. In fact, the name Northdale comes from that main thoroughfair. Northdale is primarily a residential area with the Northdale Golf and Country Club at its center. If you are searching for a Northdale pool builder to make your back yard a unique Northdale outdoor living space for you and your family, consider Grand Vista Pools. 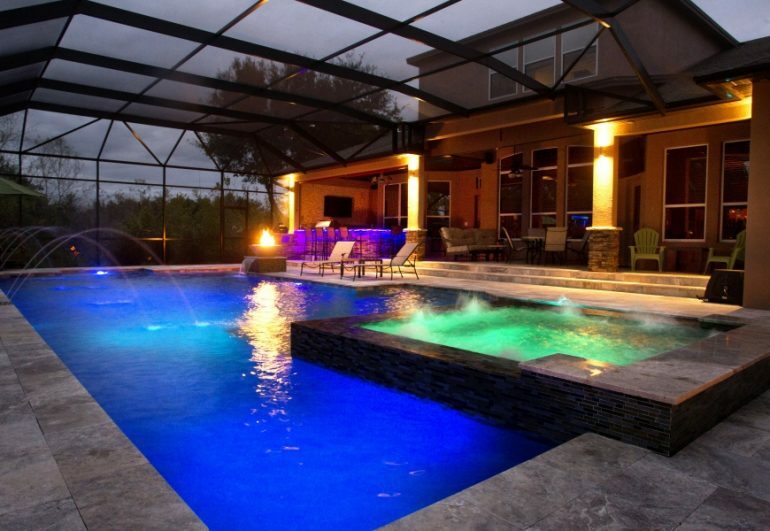 We've been building new swimming pools in Northdale, Florida and the surrounding area for more than two decades. Do you have an older Northdale pool that needs remodeling? Grand Vista Pools does swimming pool renovations in Northdale as well. We do everything from basic pool resurfacing to extreme makeovers. Want to add a hot tub? Lighting or fire features? A waterfall? We can do all of this and more. One benefit that comes from working with Grand Vista Pools is that we are not only an experienced pool builder, but we are also a licensed general contractor. This means we can design and build your entire outdoor living space and making renovations to your home to help your indoor living space and outdoor living space flow together beautifully. Grand Vista Pools also has a lot of experience designing and building Northdale outdoor kitchens. If you can dream it, we can design and build it - from an amazing outdoor grill to a fantastic full-featured kitchen to a fun outdoor bar. Give us a call, and let's discuss your outdoor living ideas. Contact Grand Vista Pools now to schedule a time to discuss your Largo swimming pool.